Need listicle content that’s purpose-built to go viral? The success of websites like BuzzFeed shows that people love reading fun, entertaining and interesting articles that use a list format. They’re called listicles, and they’re something we specialise in here at LinkBaits. Our content team writes high quality, engaging and highly shareable listicles that are purpose-built to spread and share on social websites like Reddit, Facebook and Twitter, putting your brand and message in front of hundreds of thousands of readers. Our listicle writing and promotion services let your business tap into the huge viral marketing potential of list content. From Top 10 lists to Ultimate Guides, our team of professional journalists and copywriters can craft listicles that put a creative, shareable spin on your company’s product or service. With our listicles, you’ll generate more traffic, increase your brand recognition, earn links and media mentions from top blogs and online publications and even generate new leads and sales. Best of all, we take care of every aspect of the process, from brainstorming listicles ideas to writing, publishing and promoting your content. We write and promote listicle content for a wide variety of clients in numerous industries, from travel to home improvement. Our listicle writing and promotion services are available on a one-off basic for a single piece of content, or on a recurring basis with several listicles supplied to your business every month. No matter what your business offers, we’re here to help you harness the massive marketing power of listicle content. We offer both ad hoc listicle writing and promotion and ongoing services. Whether you need one listicle to promote your latest announcement or a monthly supply of engaging listicle content to establish your brand and increase traffic, our experienced listicle writing and marketing team is ready to achieve your goals. At LinkBaits, we have an experienced in-house team of writers and marketers who specialise in coming up with creative ways to promote your business online. No topic is too boring, bland or traditional for us to market via social media listicles. You let us know your marketing goals and objectives, as well as the target audience you’d like your company’s message to connect with. Our team of experienced copywriters and journalists will get to work preparing a list of fun, quirky, unique and highly shareable listicle ideas that are deliberately designed to attract as much attention as possible on social websites like Reddit and Facebook. We’ll share our listicle and promotion ideas with you. Once you’ve approved our listicle ideas, we’ll get to work writing your content, sourcing relevant images and preparing the right promotional channels to ensure your content reaches its target audience. That’s everything! We’ll publish and promote your listicle to your target audience, providing your company with more traffic, improved brand recognition, valuable inbound links and media coverage, all while you focus on running your business. 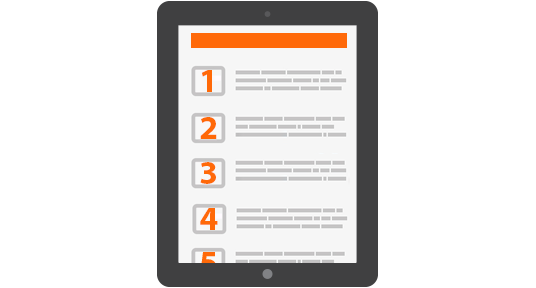 On average, you’ll only need to spend a few minutes on each listicle we publish. Our experienced in-house team takes care of everything from content ideation and creation to publishing, promotion and outreach, helping you effortlessly reach your target audience with engaging content that generates real results. Even the best content has little value if no one read it. That’s why we don’t just your write content — we also seed your content to key online influencers, bloggers and social media users to make sure your message gets right in front of your target audience at scale. Our content seeding, marketing and promotion service doesn’t just put your content in front of readers. It also generates huge amounts of traffic to your website, results in natural links to your URL and leads to a massive volume of social shares, votes and likes for your content. All of this signals to Google that your website is a trustworthy authority in its industry, improving your search engine rankings and fuelling more search traffic, more leads and more sales. Would you like to start harnessing the power of viral listicles to promote your business, improve your search engine rankings and make more sales? Contact us using the online query form on the right side of this page and our dedicated team will get in touch within 48 hours to discuss your project and formulate a strategy to ensure your listicle is a success.